After 8 trips to Phnom Penh, the Capital of Cambodia, nothing seems to change. The airport shops present a pleasant front to travellers and tourists and as soon as you step outside, 1000's of motorbikes and a constrasting array of run-down and ritzy cars swarm along the highways. We're greeted by many of our friends from the slums, and Sam, our Tuk-tuk driver. No welcome could be as friendly as theirs. We all hug and laugh with joy, and as always, we’re struck by the beauty of these poor people from the slums. As we are driven to our hotel (cheap yet very clean), we pass the myriad of sugar cane palms dotted throughout the land. All the time our minds are churning, trying to think of ways to help these people. The Cambodian people are not tall, with an average height of around 5’4”, and have beautiful light brown skin. The girls buy cosmetics that make their skin white. It is rather funny, considering how in Australia we pay for a spray tan or sunbake on the beach to get darker skin. Some of the challenges we face now that we’ve constructed the first housing community to home 21 families and are slowly developing ways to allow them to be self-sustainable, are trying to teach them how to save, what profit means, and telling them not to give away the goods they make. They are so generous. As we pull up to the hotel, further greetings come from the security guards and the row of tuk-tuk drivers who remember us. Looking down the road, we can see many shops catering for tourists. However, we know well that if we travelled down a side street, within 5kms we’d be confronted by the signs of poverty - methane gas coming out of rubbish tips, people scrounging for plastic and children playing in the gutters with small stones or sticks. We settle in at the hotel and are inundated by the cleaning ladies - boy what a welcome they give us. After unpacking, we head back outside. Just out of Phnom Penh you can see kilometres of open countryside. The palms and the landscape are beautiful, and the weather sits at a balmy 34 degrees. It’s not a dry heat, quite humid. The city streets are crammed with motorbikes and cars. It’s a kind of organized chaos! But always, always our attention is caught by the people, who are so beautiful, so accommodating and so helpful. The children smile at us as we pass by, which amazes me when I think of where they have come from. They are such a gentle and humble race of people. Back in Phnom Penh its lunch time, and many outside cafes abound. The smell of BBQ meat turns the head and there are plenty of coconut vendors that sell coconuts to drink. People wheel their goods around to sell and there are many disabled and poor people seeking help. These people are commonly suffering from MS, Polio, AIDS and deformities from landmines. Some sell postcards or books to try and make a living. It’s not till you get away from the tourist track that you realize the appalling conditions that so many Cambodians live under - the everyday family that tries to eek out a living on the average $40 a month wage. 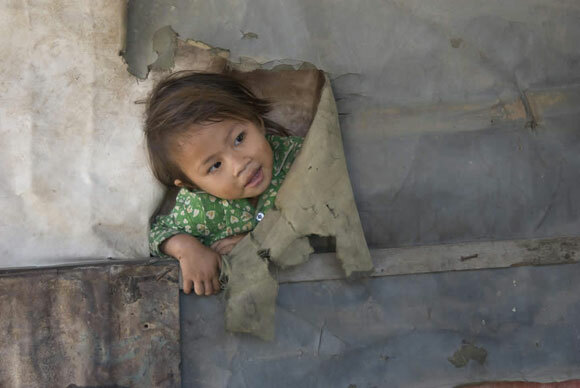 The moment you venture into a slum or a narrow back street (which are peppered throughout Phnom Penh) you begin to see the squalor, the filth, the hunger, the desperate need. It’s the reality of their lives, and it’s a stark contrast to ours, where so many things are taken for granted. There is no social security or government benefits. If you can’t work, you can’t buy food and that means your family goes hungry. If you get sick, well that’s bad news – really bad because what little health care there is in Cambodia is mostly unaffordable to the average family. 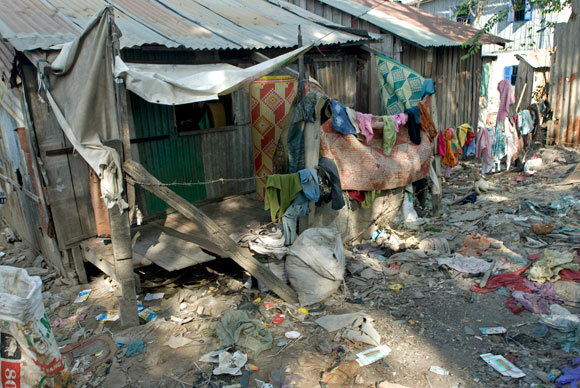 Hundreds of thousands of Cambodians live with this daily battle to survive where nothing comes easy. They are deprived of the basic necessities of life like a roof over their heads, food, running water, sanitation and basic health care. It might seem overwhelming, but we know that we have a chance to change at least some of these people’s lives, and it is for that reason we’re here, and the reason we will keep coming back. Read about Our Vision here or find out all the different ways you can Take Action to change people's lives.